*These programs /workshops can be offered individually as well to cater to the child’s needs. These creative interactive programs and workshops for children enhance their emotional, physical, mental and spiritual well-being. It is never too early to teach children to be all that they can be so they can grow up to be well adjusted adults. As children learn how powerful they really are , they will be more confident to make positive changes in their life as well as create more positive life experiences while reaching for their potential. Children will be able to be, feel and give their best! At Kidz Mpowered, we are dedicated to empower your children to overcome personal challenges and to reach their potential as they go on a journey of self discovery. Give children the gift of Empowerment and watch the positive effects ripple throughout all aspects of their lives! 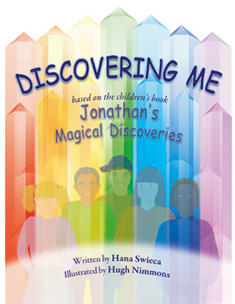 Based on the children’s book Jonathan’s Magical Discoveries, and its companion workbook/activity book Discovering Me written by Hana Swieca. This innovative program teaches children how to empower themselves to reach their potential while overcoming personal daily challenges. Participants learn many creative tools by looking within, while going on their own magical journey of self-discovery and taking action to reach their goals and dreams. The program as described above is offered for boys and girls. *Certificate at end of program. 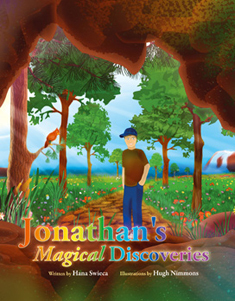 *Jonathan’s Magical Discoveries book and its companion workbook/activity book Discovering Me and all materials included. 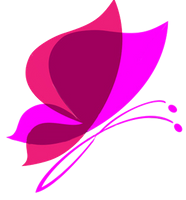 The program described above is also offered for girls only . 8 weeks 13 hours *Certificate at end of program. 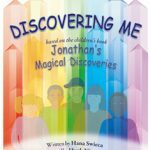 (insurance receipt & payment plan available upon request) *Jonathan’s Magical Discoveries book and its companion workbook/activity book Discovering Me and all materials included. The program described above is also offered with a special emphasis on issues girls face today. (insurance receipt & payment plan available upon request) -includes all materials for unique craft & bracelet. Calling All Graduates of the Discovering Me Empowerment Program!!! In this 2 hour group session, we will review and explore the tools learned and continue to empower children to integrate these tools into their life. Participants will have an opportunity to create a unique tool box containing reminders of all the tools learned throughout the program. Individual / À la Carte workshops from the Discovering Me 8 week Empowerment Program created by Hana Swieca and based on her books Jonathan’s Magical Discoveries and its companion workbook/activity book Discovering Me. *Workshops below vary from 1 ½ hours- 2 hours each. *Choose 1 or all 8. *Register for all 8 and receive the set of books for free and an Empowerment certificate. Is your child feeling intimidated or pushed around? Does your child feel unsafe or that they don’t belong? In this workshop, children will learn how to feel strong, safe and that they belong. Is your child feeling afraid which is negatively affecting their life? 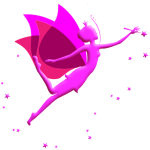 In this workshop, children will learn how to deal with their fears, be in control and feel free. Does your child feel not good enough? powerless? lack confidence? In this workshop, children will learn how to feel confident and powerful. Does your child not like him or herself? Is he or she not happy? In this workshop children will learn about self love and gratitude. Does your child have a hard time with self expression and keep their feelings inside? In this workshop, children will learn how to express their thoughts and feelings easily, be more assertive and learn how to feel heard. Does your child feel confused at times and not know how to trust their inner self? In this workshop your children will learn how to listen and tap into their intuition and learn how to trust themselves. Does your child feel disconnected? In this workshop, children will learn how unique they are and how connected they are to everything around them. Would you like your child to learn how to create positive changes and reach for their goals and dreams? In this workshop, children will learn how to create desired outcomes in their lives and reach for their potential.